My family’s connection with YMCA camping begins with my grandfather. As a youth, he was a member of the YMCA in Kitchener, and as a volunteer project he and some of his friends traveled to Honey Harbour and built some of the first cabins at YMCA Wabanaki. Since then, my mom, five of my aunts and uncles, five of my cousins and my two sisters and I have attended or worked YMCA overnight camps throughout Ontario. 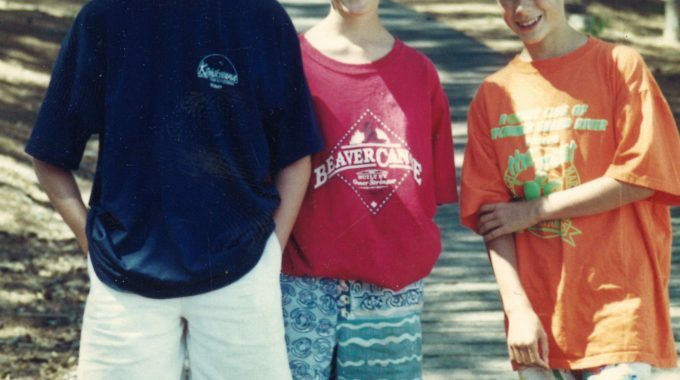 My wife and both of her siblings also attended a Y camp (as fate would have it, it was YMCA Camp Wabanaki). I had the good fortune to become the director of the camp that I grew up at (YMCA Camp Kitchikewana); this is also where my wife and I were married. YMCA Camping has given me so much – it built my self confidence, it is where I met my best friends and it ultimately gave me my career. next post: MyY is a Fun Time!